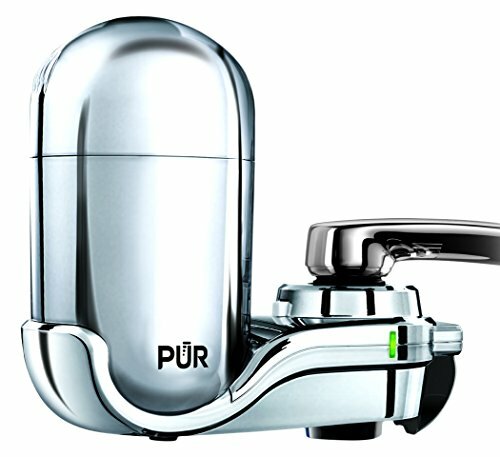 PUR ADVANCED FAUCET WATER FILTER:PUR Advanced Faucet Filter in Chrome attaches to your sink faucet, for easy, quick access to cleaner, great-tasting filtered water. An LED indicator displays the filter status, so you know when it needs a replacement. FAUCET WATER FILTER:PUR's faucet filters are certified to reduce over 70 contaminants, including 99% of lead, so you know you're drinking cleaner water. They provide 100 gallons of filtration, or 2-3 months of typical use, before you need a replacement.